Arthonia lecanorina (Almq.) R. Sant. Syn. : A. vagans Almq. var. lecanorina Almq. The correct name of this species is possibly A. galactinaria Leight. 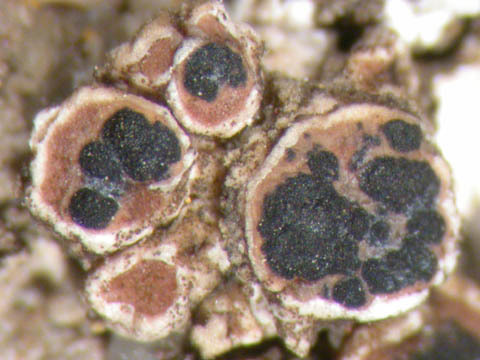 Lichenicolous, on Lecanora albescens and L. dispersa on a concrete fence post. France: Mar. : R, Boul. : RR. Lit. : Boul. : 66, L8: 16.